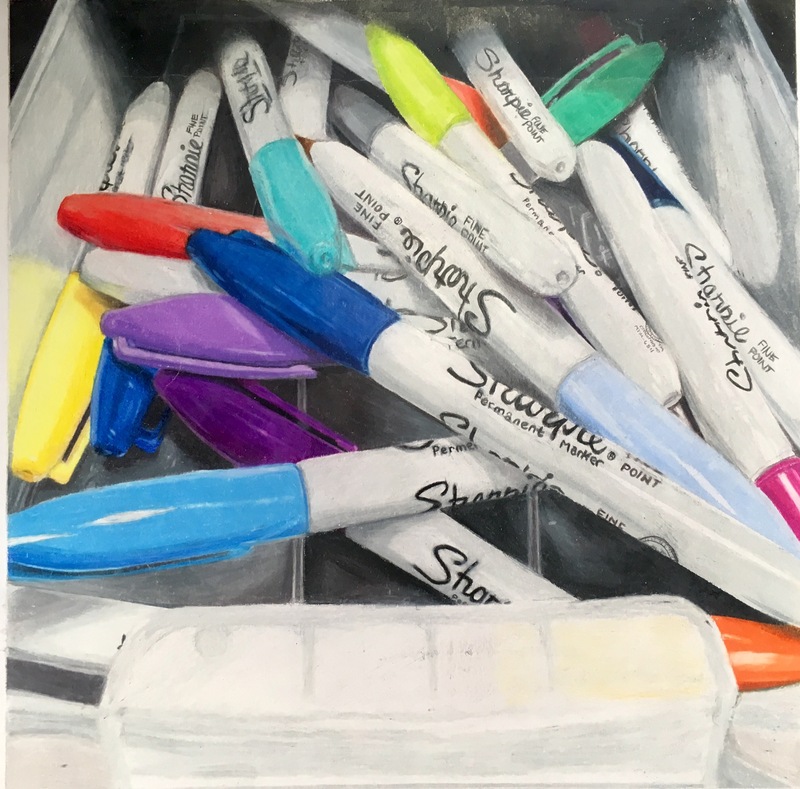 This is a colored pencil study of my Sharpies. I used colored pencil to show a realistic gradation of value. My hope was to give a sense of depth in the picture through high contrast created by the shadows. Overlapping and foreshortening help create the shallow sense of depth. Artwork Dimensions: 12" x 12"